The mini media player is a true HD 1080P media player, the world's smallest media player has adopted the latest HDMI technology. 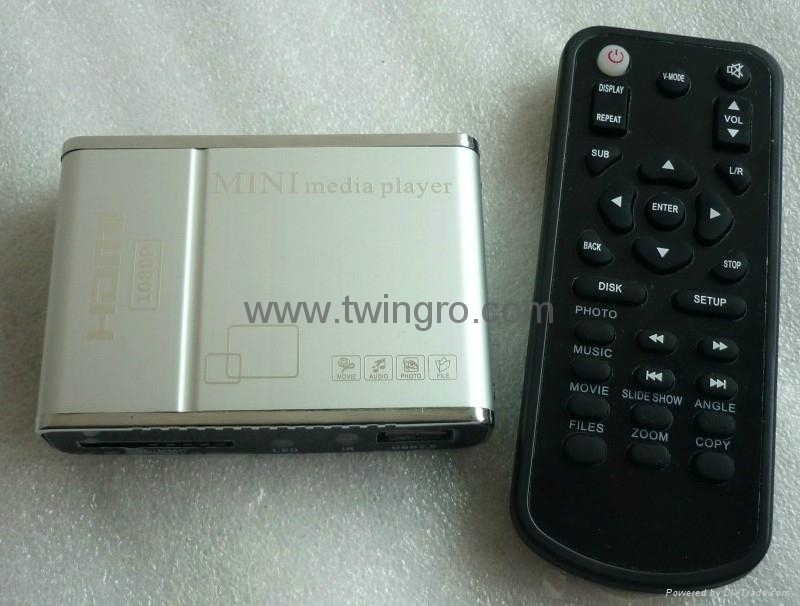 Mini in size, famous as "Hand Media Player", you can take it anywhere. You can browse digital video, audio and photos from various devices, such as Samba, NAS, digital camera, USB/e-sata mass storage devices (flash drive, HDD). USB storage: Built- in NAND flash enables it as a USB 2.0 storage. supply needed. Compatible with Windows, MAC OS. HDD or USB pen drive, and play or manage files on them. SD/SDHC reader: Directly read SD/SDHC card, and play or manage files on it. Photo: JPEG, TIF, PNG, BMP. 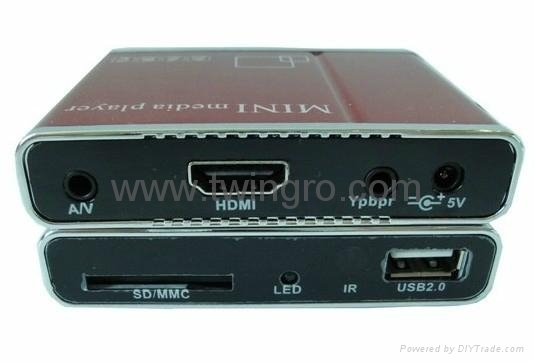 Support HDMI, CVBS, YPbPr video output. Stereo L/R, S/PDIF optical(optional) audio output.